On 22nd of September 2015 History was created by All India Hair & Beauty Association (AIHBA). The nation witnessed India’s largest National Competitions in hairdressing, makeup artistry and nails – The AIHBA INDIA AWARDS 2015. All India Hair & Beauty Association(AIHBA) conducted its 3rd edition of its National Awards in Hairdressing, Makeup and Nail Artistry. This was countries largest participation in a competition ever. The competitors were from 12 states of India covering all zones – North India, South India, East India, West India and Central Zone. At Gujarat University exhibition Centre, Ahmedabad, AIHBA conducted its 3rd edition of AIHBA INDIA AWARDS 2015 and history was created. Across the country 270+ competitors from renowned salons participated and competed for the championship in 12 different categories. The registered visitor audience was 10,000+ from more than 12 states of India. Participants in AIA were from 17 states of India and covered all the zones of India viz. North,South, East, West and Central. The show was judged by International Champions – Ms. Kanjana Godigamuawa, Mr. Nihal Ranathunga, Ms. Runa McNamara & Ms. Laura Holdstock. AIHBA India Awards (AIA)2015 was hosted by Aakar Exhibitions(Mr. Premal Mehta & Ms. Heena Mehta) at their flagship Beauty and Salon Expo 2015. AIA 2015 was supported by Ahmedabad Barber Shop Association (ABSA) & Gujarat Beauty Salon Association (GBSA). Mr. Bhupender Panara & Mr. Manoj from ABSA and Ms. Aparnaben Dave & Ms. Beena Parekh from GBSA worked tirelessly to make the event hugely successful. AIHBA INDIA AWARDS 2015Ms. Anarben Patel (Daughter of Ms. Anandiben Patel,Chief Minister of Gujarat) inaugurated Beauty and Salon Expo on 21st September. On 22nd September the competition began at 7:30 AM and finished by 10PM. All the winners received Cash prize, Products and Training Vouchers. “Hairpro Professionals” was AIHBA INDIA AWARDS 2015’s Product Partner. Nails Fantasy category was completely sponsored by “Lure Nails,Shivani Sharma”. Moreover, Nails Commercial Category was sponsored by “Nail Pro, Gurpreet Sibal”. This historic achievement by AIHBA was resultant of victorious leadership displayed by Dr. Sangita Chauhan(President AIHBA), Mr. Ashok Paliwal(General Secretary) & Mr. Vijay Bhardwaj(Treasurer). AIHBA chose a team of National Skill experts who travelled all the way to Ahmedabad to contribute to India’s search for International Champions. They were – Ms. Lata Kanchandani, Ms. Asha Hariharan, Ms. Aparnaben Dave, Mr. Shyam Bhatia, Mr. Harish Bhatia, Ms. Gurpreet Sibal,Ms. Shivani Sharma, Ms. Payal Singh,Ms. Sunitaben Lamba,Ms. Prachi(Rajkot),Ms. Mayaben Vyas, Ms. Heena Gautam, Mr. Satish Christian, Mr. Dilip Barjaniya, Mr. Vijay Bhai, Ms. Madhumita Saikia, Ms. Jyoti Trivedi, Ms. Jyoti Foundation, Ms. Diptiben Vakharia, Mr. Pintobhai Asha, Mr. Prakash Bhai, Ms. Neha Goplani, Ms. Neeta Parekh, Ms. Asha Paliwal, Ms. Paramjit Soi,Mr. Amod Doshi,Ms. Nazia from Afghanistan& Ms. Minnati Sahoo. AIHBA India Awards-2015Each winner received Cash Prize, Product Hamper and Training Vouchers from renowned academies of India like Dr. Sangita Chauhan’s Exclusive Academy, Prabhat Academy, Uday Takke’s Academy, Yogee Indulkar’s Academy, Asha Hairiharan’s Academy, Shyam Bhatia’s Academy & Big Boss Academy. Moreover, legends of our Industry Mr. Ahmed Habib, Mr. Harish Bhatia & Mr. Pandhari Dada Juker gave their Legendary Awards. “Ahmed Habib Award” was awarded to Mr. Khushal Mali and Mr. Hamendra Ved, ”Pandhari Dada Juker Award” was awarded to Ms. Meera Mevawala. “Harish Bhatia Award” was awarded to Mr. Chaayyan Saikia for performing continuously at AIA 2015 for 10 hours non-stop. AIHBA also honored its International Achievers who unfurled Indian flag high in abroad. Ms. Lata Kanchandani, Ms. Elisha Chauhan and Mr. Jai Parekh were honored for winning Bronze medal in hairstyling at Asia Cup 2015 held in Kuala Lumpur, Malaysia. Mr. Pradeep Ved along with his trainers Mr. Pushkar Sen &Ms. Shwetasha Paliwal was also honored for winning Medallion at Worldskills 2015 held in Sao Paulo, Brazil. Ms. Vandana Luthra,Founder VLCC group was honored with the title of “Women Entrepreneur Award 2015”. 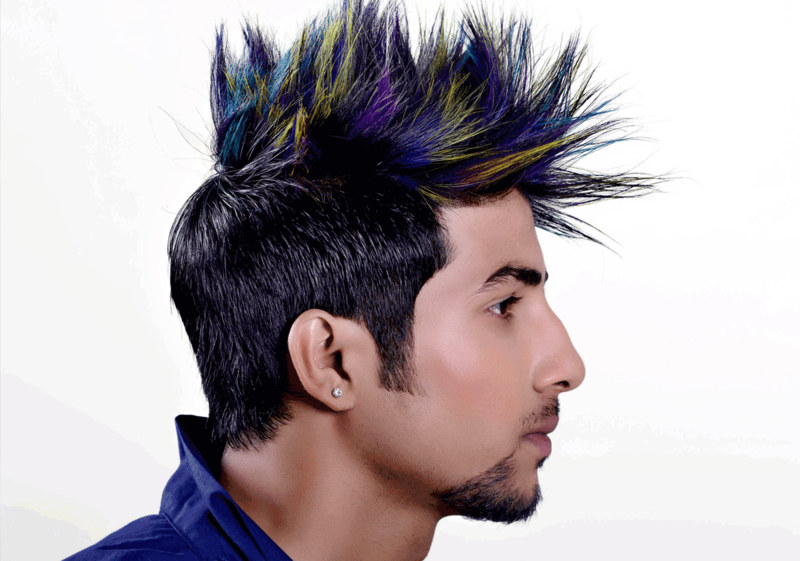 All India Hair and Beauty AssociationEsteemed Skill experts visited AIA 2015 and motivated the competitors. They were Mr. Abhay Piazza, Mr. Anurag Jaiswal,Master Pankaj,Mr. Tanveer Mohammad,Ms. Rimple Kothari,Ms. Safiya Matcheswalla,Ms. Vandana Jain,Ms. Ila Dwivedy Ms. Beena Srivastava, Ms. Archana Haria & Mr. Sanjay Thakkar. Mr. Vikas Vij from Professional beauty,Mr. Vikram J. Pania, Mr. Biju Nair & Ms. Vaishali Shah from LTA,Mr. Nilesh Parekh, Mr. Ramesh(Bangalore) and Ms. Aradhana Tripathi from Beauty and Wellness Sector Skill Council congratulated the competitors for presenting a fabulous show. AIA 2015 started with “Orientation Day” on 21st Sep where all the competitors were aligned with the rules,guidelines, penalties and timings by AIA Management & Technical Director,Ms. Elisha Chauhan. On 22nd Sep the competition floor was directed by the ‘Competition Directors’-Mr. OP Verma & Mr. Udhay N Takke. All the wise men at AIA 2015 were directed by ‘Wise Men Directors’ – Mr. Shyam Bhatia & Ms. Aparnaben Dave. The Registeration team was headed by Mr. Hitesh Parekh,Ms. Neha Kansara, Mr. Ebrahim Merchant,Mr. Bhavya Chauhan. Mr. Umakant Sahoo & Ms. Minnati Sahoo. LogisticsTeam at AIA was headed by Mr. Dinesh Chaudhary. The Green Room Management Team comprised ofMs. Minnati Sahoo,Ms. Asha Paliwal, Ms. Sangeeta Gupta, Mr. Uttam Parekh, Mr. Maulik Parekh, Mr. Rajesh Parekh, Mr. Sanjay Sharma, Mr. Pushkar, Mr. Kamlesh Sen, Ms. Beena Parekh, Mr. Jayesh Sachresa, Mr. Lakshman Goplani,Mr. Janardan Trivedi & Ms. Mrunal Dongre. Along with competition Directors, competition floor was managed by a special “Competition Floor management team” comprising of Ms. Shalini Arora, Mr. Jai Parekh, Mr. Milan Bhatia,Ms. Gopika Dhupar, Ms. Shwetasha Paliwal, Ms. Yogee Indulkar& Ms. Harshada Takke. Hospitality team was headed by Ms. Nisha Singh & Ms. Paramjeet Soi. Our winner’s Trophy partner at AIA 2015 was Mr. Manish Dameja. Our Medallion trophy partner was Shreeji Collection. AIHBA INDIA AWARDS 2015 was overall a grand success and a huge show of the people, by the people & for the people.